President Barack Obama hosted two radical anti-Israel activists, Riham Osman and Batoul Abuharb of Houston, Texas, on Tuesday night. 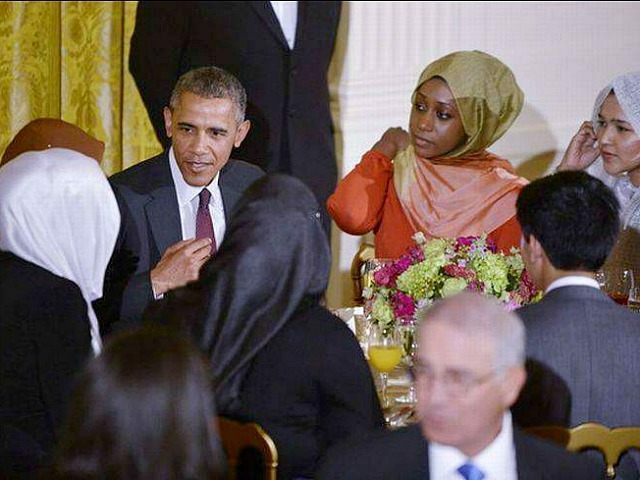 They both had the honor of sitting at Mr. Obama’s exclusive “President’s Table” at the annual White House Iftar dinner. Both have publicly stated that they consider Israel and its leadership to be sponsors of terroristic acts. Riham Osman, seated at the “President’s Table” Tuesday night, is the communications coordinator for the Muslim Public Affairs Council (MPAC), a group founded by members of the Muslim Brotherhood that has challenged the U.S. designation of Hamas and Hezbollah as terrorist groups. 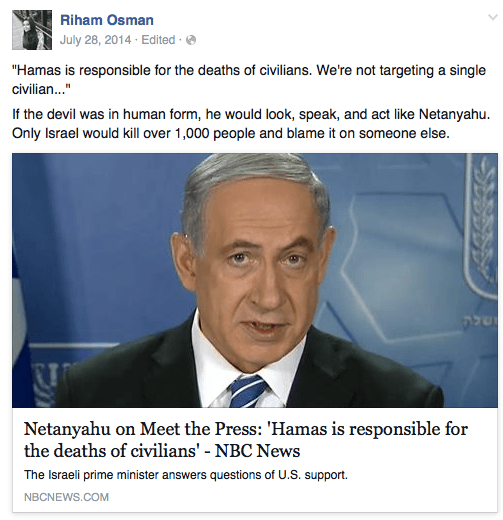 Osman herself has engaged in toxic rhetoric when it comes to the state of Israel. In March, she described Israel and its Prime Minister Benjamin Netanyahu as sponsors of terrorism. Batoul Abuharb, who was listed as having attended the White House dinner and was seated at the president’s table, has in the past revealed herself as a fierce opponent of Israel. Abuharb described her “paralyzing fear” in Gaza during Israel’s “military assault,” without bothering to mention that Israel was responding to Hamas rocket fire on Israeli population centers. Abuharb, who lays blame on the “occupation” for the problems in Gaza, not once mentions the existence of Hamas, the militant jihadist group that rules the strip. In another interview, Abuharb described what she witnessed was “true terror” on the part of Israel. The 2014 war was initiated by Hamas, a Palestinian jihadist group designated as a terrorist organization by the United States. During the war, Hamas employed several guerrilla techniques in gross violation of international law, including using women and children as human shields and storing rockets in UN children’s schools.